Welcome to 2019. 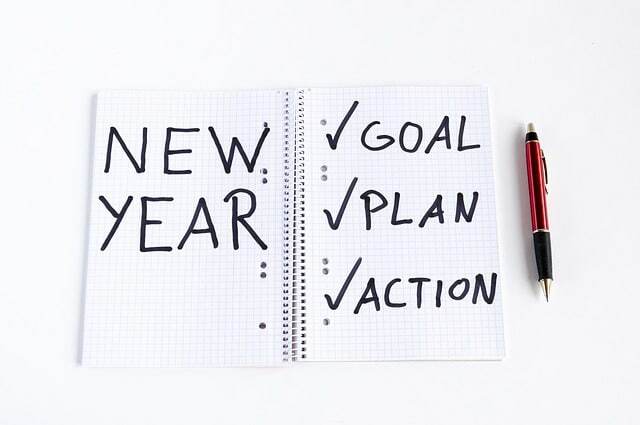 The start of a new year is a great time to reflect and revise your business goals for the year ahead. Goal setting is an important part of building and growing any successful business. It provides clarity and helps you focus on your actions on the things that matter. Without clearly defined business goals, you’ll find yourself juggling between activities with no sense of direction. Before you start writing out your new goals for 2019, it’s important first to evaluate where your business is a right now. You can do this by reviewing the performance in the previous year. This will help you pinpoint the areas where you have outperformed as well as areas where you have fallen short of your goal. Evaluating your past performance enables you to tweak your strategies to improve areas that need improvement and leverage your strengths. You will also find it helpful to complete a SWOT analysis. The process will help you think through your business challenges, identify opportunities and threats to be aware of. If you work with employees, it’s a good idea to get their input as well. They will be able to give you a different perspective on your business which you might not have considered. Now that you know where your business is at right now, it’s time to set your goals for 2019. Define what it is that you want to achieve and write that down in specific terms. Be specific in terms desired outcome, how long it will take, and how you’ll measure it. The clearer your goals, the clearer you will be on the actions required to make it happen. Your goals must be realistic. Setting unachievable goals can be demotivating in the long run because it can make us feel like a failure when we cannot achieve it. Once you have your goals down on paper, start working out your strategy to achieve it. Note down the actions you must take, what resource you’ll need, and a deadline to achieve this by. If your goal is large, try breaking it down into multiple mini goals and setting a deadline for each. This will make the task manageable and less daunting. After setting your goals, communicate your vision to your team. This positions everyone on the same page. Teamwork and productivity improve when everyone knows where the business is heading and is working towards the same outcome. Remind yourself to review your progress. This will give you a snapshot of where you are at throughout the year. As distractions and business challenges crop up, you can sometimes lose sight of your goal. Revisiting your goals regularly will help you stay focus on the end result and make necessary adjustments along the way. Remember to be flexible and adapt to changing needs and new challenges as the year progresses. The path to your goal can change without changing the goal itself. Lastly, don’t forget to reward yourself and your staff when you achieve your goals. It keeps everyone motivated and makes the journey an enjoyable one.